A long, rambling hike is one of the best ways to spend time with friends. There’s no wifi to distract you, just continuously changing scenery to inspire strange and hilarious conversations. The thrill of exploring a new area mixed with the consecutive days of isolation creates a bonding experience like no other. And at night you can get as silly as you want because only the mountains will hear you. But where to go? 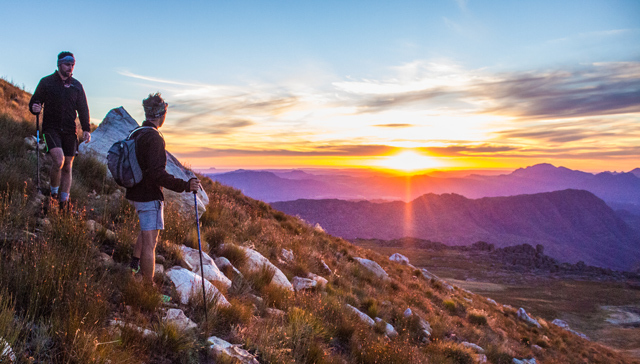 We’ve combed all over the province to bring you the best multi-day trails; from backpacking to slackpacking, tents to luxury hotels, gourmet dinners to two-minute winners, it’s all here. The prices vary greatly but they all offer a similar experience – exploring this beautiful province of ours with your own two feet and a few close friends. 1. 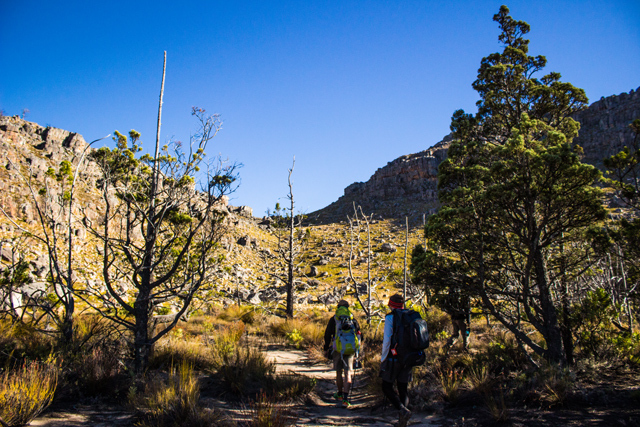 Cederberg The strange rock formations, resilient cedar trees and sprawling views are just some of the reasons the Cederberg is considered one of the best hiking areas in the country. There are so many different possible trails that it can be difficult to know where to begin, but the Wolfberg Arch, Maltese Cross, Sneeuberg and Duiwel’s Gat are highlights. To help plan your own Cederberg trip, check out how we did it here. This frighteningly popular hike is called ‘The Prince of Trails’ and receives acclaim from around the world. 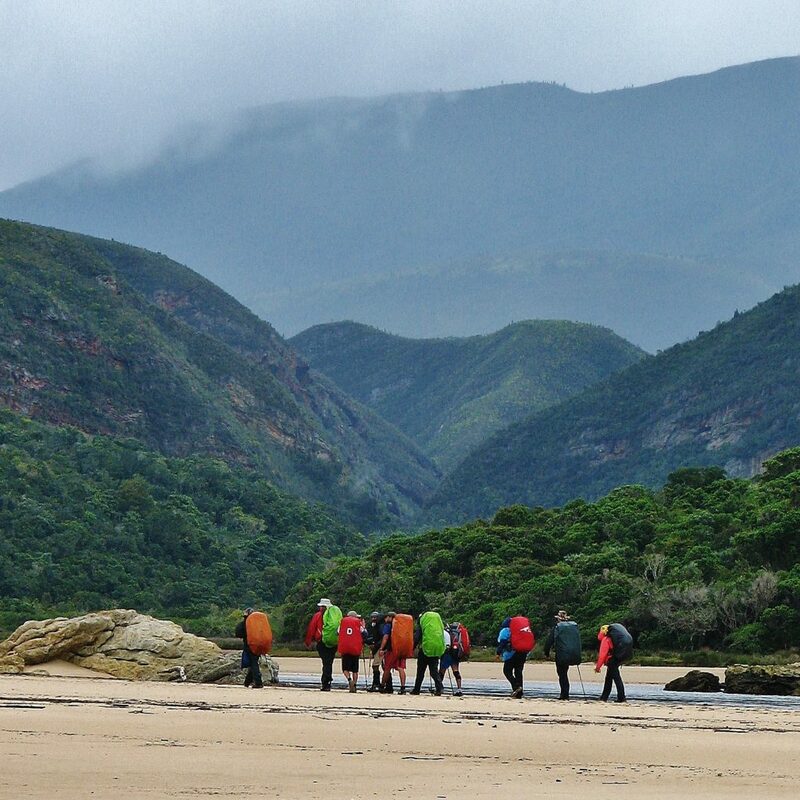 The 45 km coastal walk from Storms River to Nature’s Valley in the Tsitsikamma National Park leaves all its visitors speechless with the splendour of its natural beauty. Steep climbs, secret waterfalls and midnight river crossings are all part of the fun. Permits sell out a year in advance for South Africa’s favourite and most famous trail but it’s worth the wait. The trail begins in Nature’s Valley and ends in Storms River. 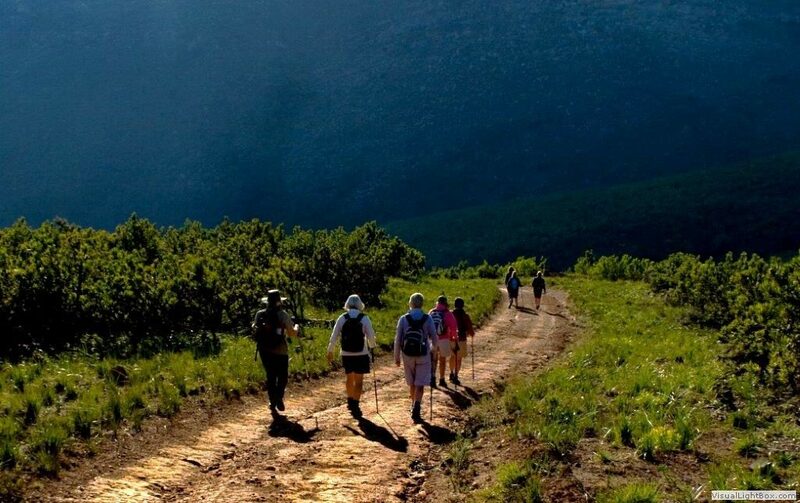 This six-day trail takes hikers through the heart of the Tsitsikamma Mountains. Shorter variations (2,3,4 or 5 days) are possible as each of the five overnight huts has its own unique access route with safe parking at the start. The mountains form the source of the rivers that flow into the sea along the popular Otter Trail. 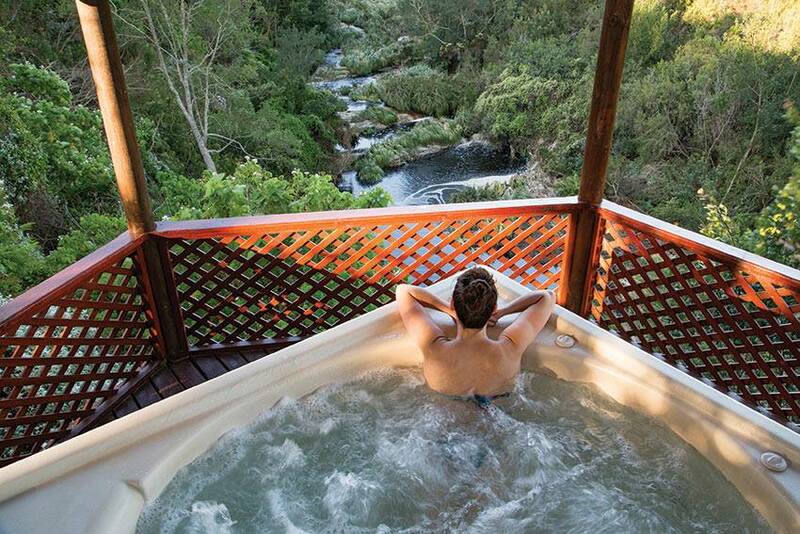 In fact, there are people who do the Tsitsikamma and the Otter Trails as a combined trail. Optional equipment porterage is also offered. 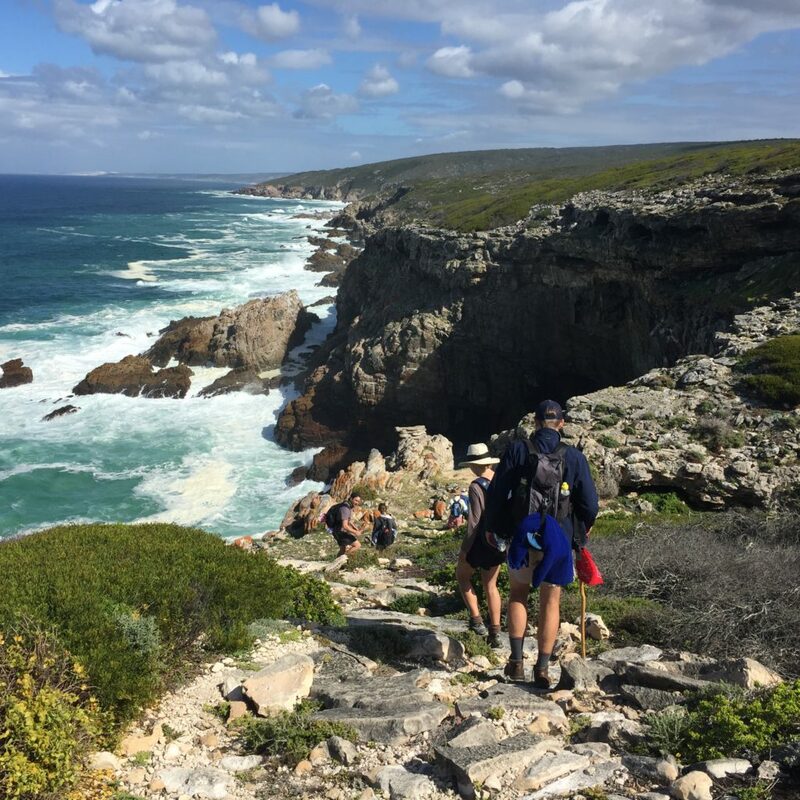 For the more experienced hiker, this spectacular trail can be conquered as a series of day walks or over a full seven day period, starting at Beervlei in the upper reaches of the Park and ending at Harkerville in the East between Knysna and Plettenberg Bay. The trail is situated in the Outeniqua mountains between George and Plettenberg Bay. The main features of this trail are the beautiful Knysna forests with their numerous bubbling streams cascading through glades of ferns and Cape fynbos. There are numerous river crossings and beach walks along the way. The overnight cabins are regularly stocked with firewood, grids, water and rudimentary bedding. Luckily, the trail was untouched by the recent fires. 5. 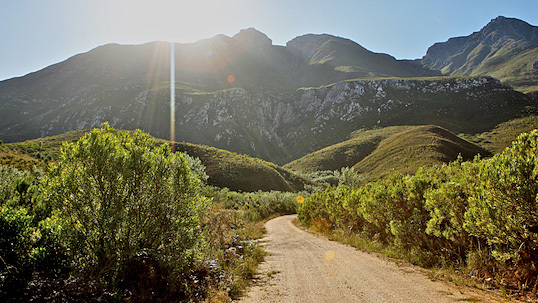 Swellendam Trail This hike has been closed for a while but is set to re-open in Spring 2017. The full trail is six days but there are shorter routes available ranging from single day walks to hikes of two, three, four and five days. For those who love the wild flowers of the Cape Mountain fynbos biome, the flora is some of the best to be found in the Cape. Four rustic huts equipped only with beds, water and primitive toilets provide limited overnight shelter. Hikers should bring their own cooking utensils and bedding. 6. Swartberg Hike Declared a World Heritage Site in 2004, Swartberg Nature Reserve stretches 121,000 hectares between the Klein and Groot Karoo, and is just 40 km from Oudtshoorn. This reserve conserves a diversity of vegetation from renosterveld to mountain fynbos and spekboom veld. It also supports a variety of wildlife, including antelope, baboons, dassies and leopard. The best time to hike here, like many others, is September to October or April to May. The trail starts at De Hoek Private Holiday Resort, on the road to Swartberg Pass where there is safe parking. 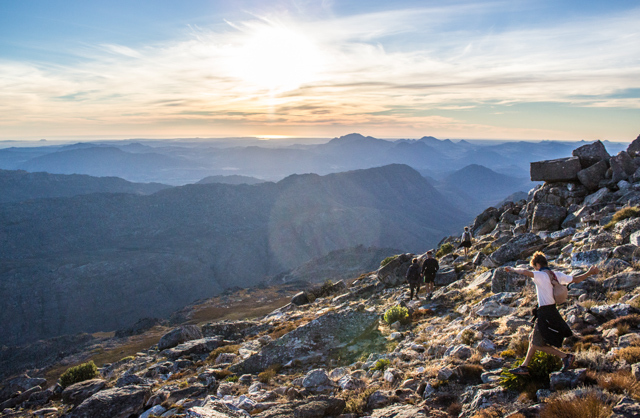 The trail takes you over to the summit with majestic views of both sides of the Swartberg Mountain. 7. Whale Trail The Whale Trail takes you through De Hoop Nature Reserve, one of the Western Cape’s most unique and diverse nature reserves. Between June and November, the coastline is transformed as southern right whales migrate here to breed and look after their young. The huts are a highlight of the hike and are very comfortable (they barely deserve the title of ‘hut’). The first day is over the interior of the reserve but the rest is along the coastline and deserted beaches. Your extra luggage is transported every day to the next cottage, so all you need to carry on the trail is a day pack. The 60-litre transport containers are provided by the trail organisers. The Dolphin Trail works a clever angle; “Imagine the beauty of the famous Otter Trail, but overnighting in luxury and without the heavy backpacks.” They say it’s four days of unspoiled beauty along the Tsitsikamma coast with three nights in luxury lodges enjoying exquisite cuisine but there are actually only two days of hiking. 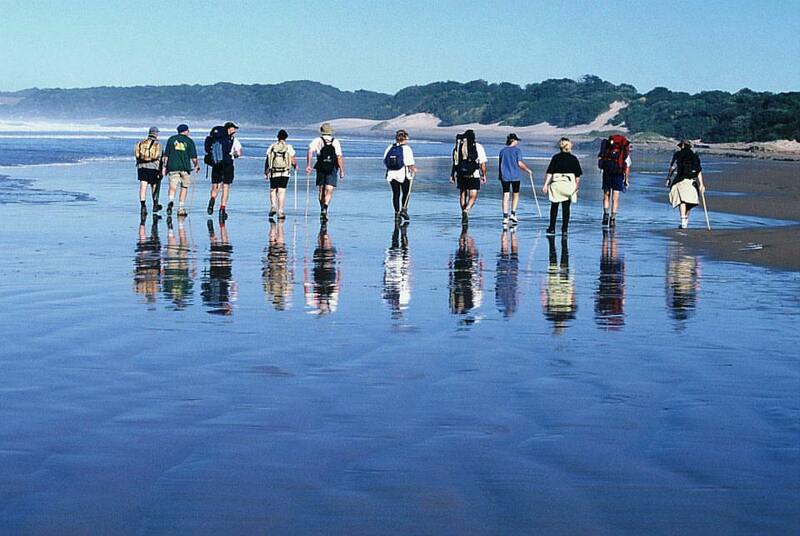 Well-trained local guides walk with you from the Garden Route National Park to the Fernery Lodge. The fourth day involves a 4×4 drive through the old Storms River Pass. With just 17 km of hiking, this one’s probably for the older folks. This is as much a gourmet experience as it is a hike. 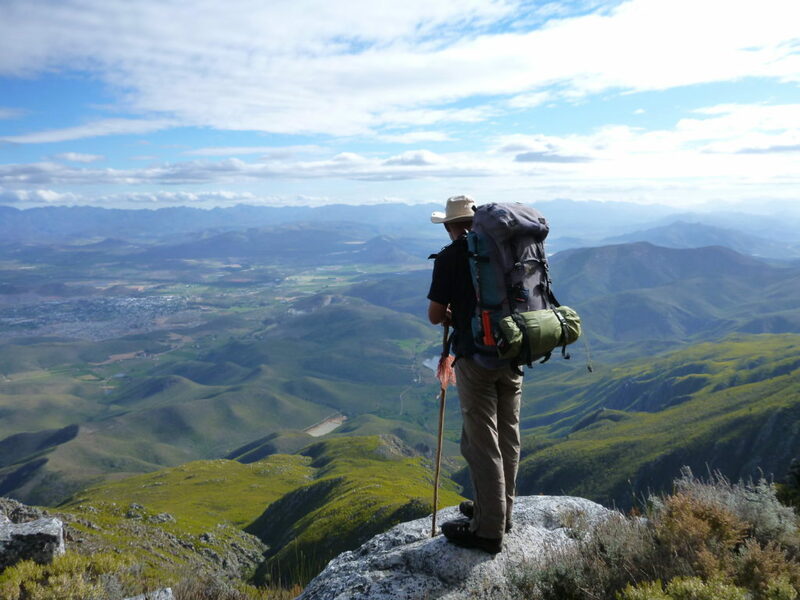 Traversing a tapestry of fynbos and fruit farms, this slackpacking trail offers fine food and comfortable overnights in the Overberg region. Accommodation is in four-star country guesthouses and delicious, wholesome meals are provided throughout. The trail visits five family-owned farms in the Elgin area; Beaumont, Oak Valley, Paul Cluver, Porcupine Hills, and Wildekrans Country House. It’s a moderate walking trail with distances varying between 11kms and 18kms each day. As part of the Green Mountain Trail’s social responsibility programme, hikers are encouraged to Walk with an Alien, a project in which a personalised walking stick is carved from alien vegetation by local communities. All hikes start on Mondays so that hikers experience a working farm. 10. 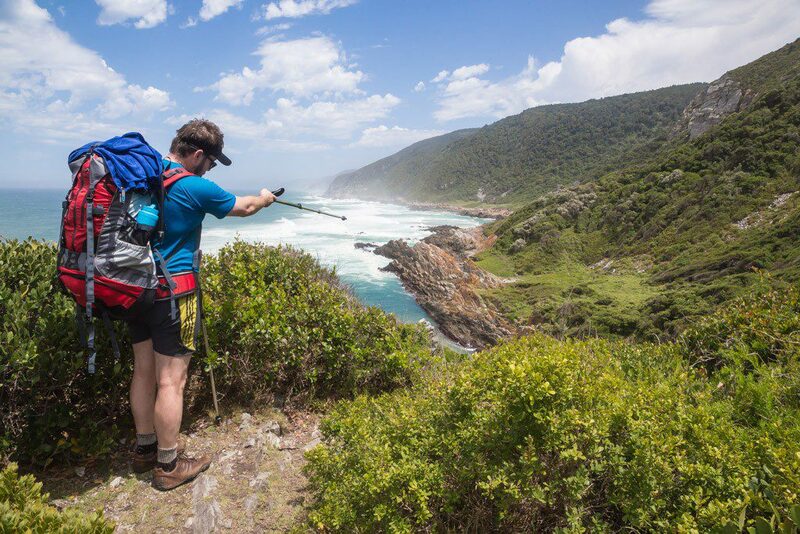 Garden Route Trail This guided five-day coastal slackpacking trail starts in Wilderness and finishes in Brenton-on-Sea using existing trails in Goukamma Nature Reserve and the Garden Route National Park. They are wonderful protected areas of the diverse indigenous flora in the region. 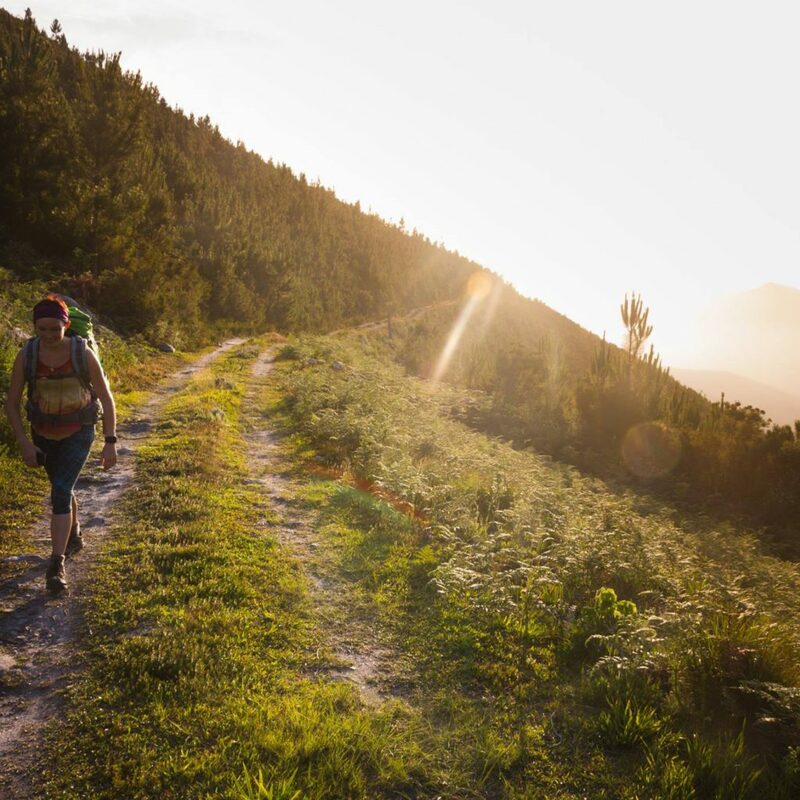 What distinguishes this trail as something different is that there are two canoe sections on top of trails along beaches, dunes, forest and fynbos. Bird-watching, catered meals and transported bags are perks of the trail. 11. Cederberg 100 Trail (Cederberg Heritage Route) The Cederberg 100 is a slackpacking trail that includes all accommodation, meals, donkey cart drives, entrances and park fees. 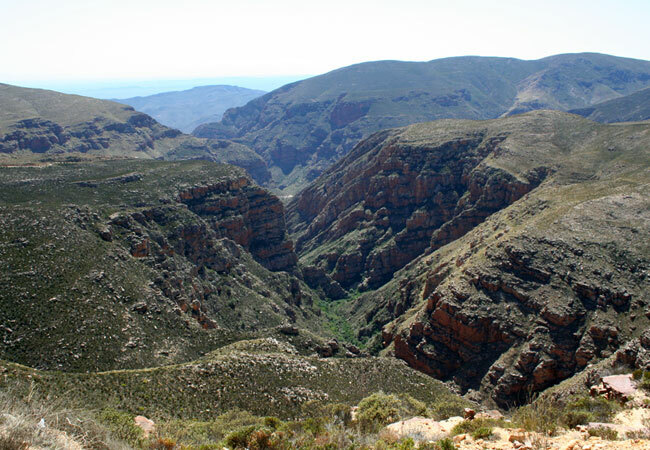 It’s the longest of six hiking trails that are part of the Cederberg Heritage Route. The trails last from two to seven days. You stay overnight in the charming community guest cottages or homestays in the Moravian Mission villages on the eastern side of the Cederberg Wilderness area and at guesthouses in or near Clanwilliam on the western side. The hikes are escorted by local community members. Guided rock art visits are an optional extra. 12. Wellington Wine Walk Wine and walking, what’s not to love? 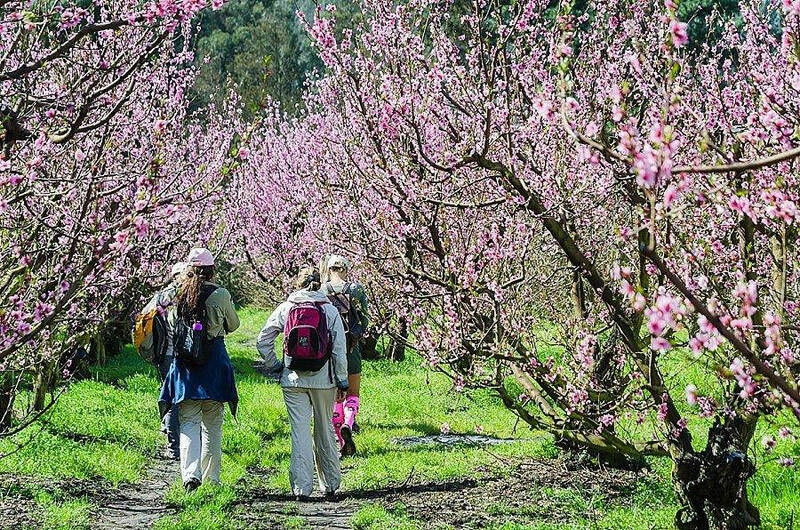 Accompanied by an accredited local guide well versed in the history and culture of the region, this hike takes you through indigenous fynbos, vineyards, fruit orchards and olive groves. Stop and taste the Wellington wines and olives produced in the Wellington Valley in the Winelands of the Western Cape. Meet the winemakers and learn more about their award-winning wines, and also meet the local characters of the valley and hear their interesting stories. Nights are spent in specially selected guest houses, including old historic wine farms which have been modernized and upgraded to South African star-rating standards, each offering delicious country cuisine. As the Wellington bowl experiences extreme heat during summer, there are two walking seasons, autumn and spring. They also offer hikes for two and three days. 13. 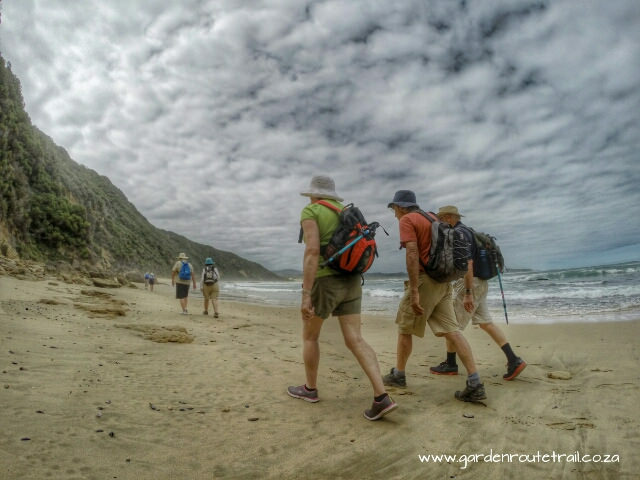 Oyster Catcher Trail This is a luxury, guided hike along the beaches and bush west of Mossel Bay, from Cape St. Blaize to the Gourits River Mouth. You walk with a knowledgeable local guide who tells you about the ancient history of the region and the flora and fauna. Accommodation is provided in superbly-appointed local guesthouses – with some nights at the traditional-style Sandpiper Cottages at Boggomsbaai. Includes accommodation, guide fees, luggage transport, and all meals – some days you carry your own picnic lunch, and on other days they serve lunch on the beach. 14. Perlemoen Trail The Perlemoen Trail starts in Gansbaai, known for its great white shark activities, and moves up the rugged coast to Die Dam. The trail can be as long as six days with catered as well as self-catering options, but the three-day option is the most popular. 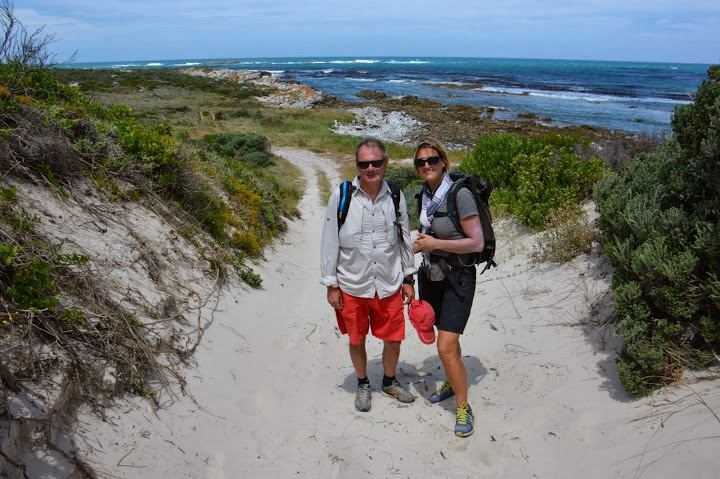 The trail provides fascinating insight into the area – famous for its shipwrecks and infamous for its perlemoen poaching. Keep an eye out for dolphins, whales, small coves for swimming, sea cliffs with pounding waves and coastal fynbos. The area boasts rich marine and intertidal life with breeding sites of rare coastal birds such as the African Black Oystercatcher. Distance: 35 – 53 km (depending on detours) over the course of three days. 15. Donkey Trail This is the slackpacking alternative to the Swartberg Hike, which allows hikers to soak up their surroundings while donkeys carry their luggage. Die Hel in the Gamkakloof Valley was first inhabited by farmers in 1830. It was accessible only by foot until 1963 when a road was built winding from the Swartberg Pass down into this remote valley. 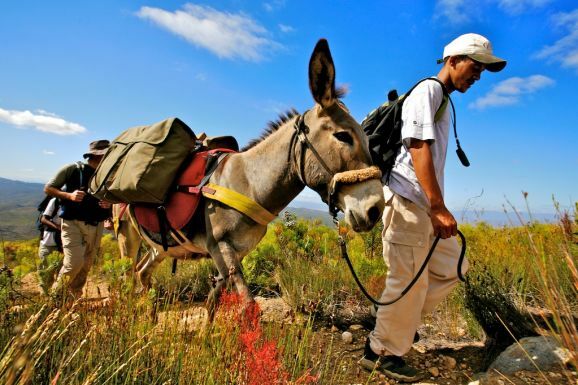 Before the road, a ‘donkey trail’ over the Swartberg Mountain from Calitzdorp to Die Hel was the only commercial lifeline with the outside world. The route follows the original trail. Visitors experience a taste of Klein Karoo culture such as ostrich farms, Groenfontein Valley, Calitzdorp Port, Swartberg nature reserve with a night in the veld (as in the days of old), Gamkaskloof, and a return drive over the Swartberg Mountain Pass. All meals, trail snacks, non-alcoholic beverages, bedding, soap, shampoo, towels, guides, and CapeNature conservation fees are included. 16. Tankwa Camino The driest and most starkly beautiful hike on this list, The Tankwa Camino connects Calvinia (in the Northern Cape) with Ceres (in the Western Cape) through the Tankwa-Karoo. The Tankwa-Karoo is an untouched semi-desert that has long gone unnoticed. However, in recent years the opening of the Tankwa Karoo National Park, Afrikaburn, and now the Camino have shone a new light on it. Started in 2013, The Tankwa Camino is 256 km long and is walked in 10 days. It was started by Danie and Rhina Pieterse, after Danie got the idea to walk from his grandfather’s grave in the Tankwa-Karoo to his other grandfather’s grave in Rawsonville. It’s gruelling, but that’s what people love about it. It takes places twice a year in spring and autumn. 17. Rim of Africa The most intense trail on this list and by far the longest, the Rim of Africa is the Big Daddy of Western Cape hikes. It’s a full traverse of the Cape Fold mountains stretching some 650 km from the Cederberg in the west to the Outeniqua foothills in the east. These mountains form the southwestern rim of the African continent and give the trail its name. The hike takes place once a year, is limited to 12 people per stage, and takes eight weeks (in 2017 there are just five traverses). Hikers can join for one stage, which lasts a week or do the full traverse. 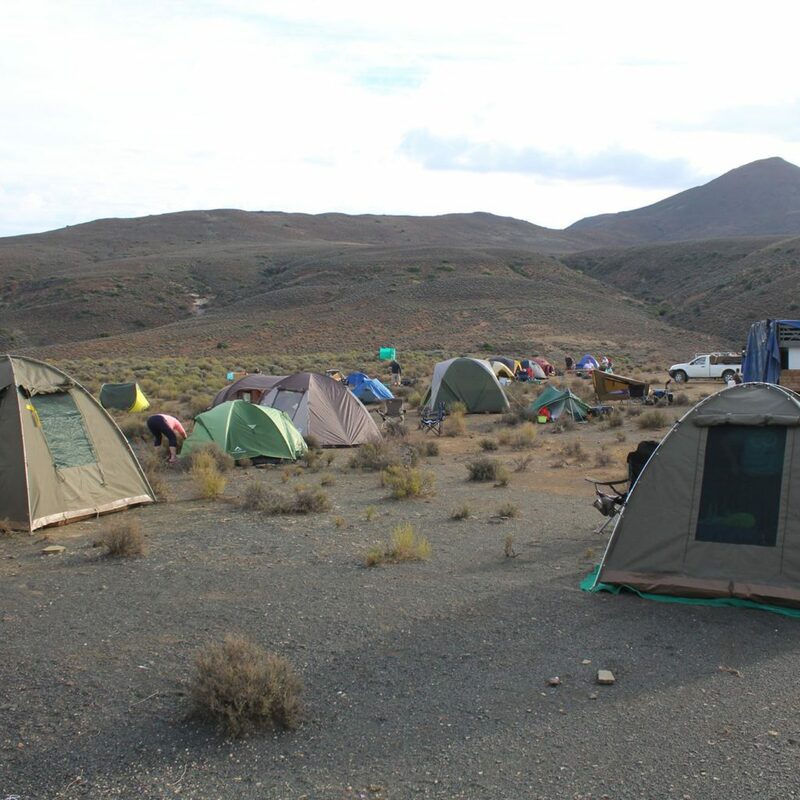 The Rim of Africa team obtain access permission from more than 80 different landowners, answer any questions you may have leading up to the event, work to prepare logistics and coordinate transfers, and scout new sections of the route. You need to bring your own food and tent but there are resupply points halfway through each week where you can receive your extra gear and pre-packed food. Cost: Participation is divided into four tiers to help ensure hikers from diverse socio-economic backgrounds are able to join. Other than sponsored places, the costs are R5,200 – R11,500 per eight days.